After 10 months hard work, Apple’s new iPhone 4S has got its Jailbreak Software at last. The Chronic Dev team who worked for iOS, has claimed that they have the code and bypass the country lock of iPhone to made a jailbreak for iPhone 4S. According to “eWeek” they said that this team claimed that they can unveiled iOS’s GreenPois0n toolkit which can capable to make jailbreak for iPad 2 and iPhone 4S which is reported in “a celebratory blog post” site. It’s a successful mission that costs thousands of brain works and power, The Chronic Dev Team said that. 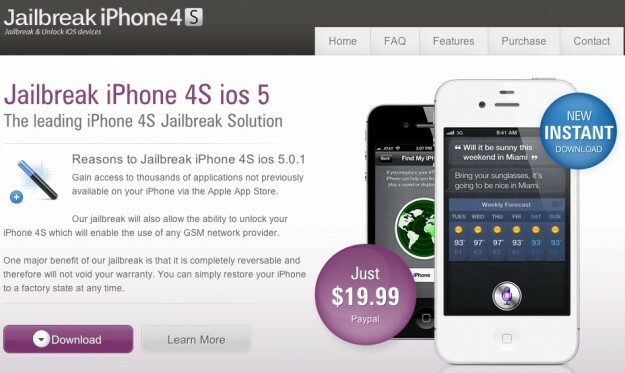 They also confirm that they will release the iPhone 4S Jailbreak Software earlier this month. But they don’t confirm the date yet. When they release the jailbreak software for iPhone 4S and iPad 2, we will inform you that is that would be successful or not, as well as where you can get it. Keep with us.